SAINT PETERSBURG, Russia (June 28, 2017) – M-1 Global, one of the largest mixed-martial-arts organizations in the world, has announced its return to Finland for the first time in nine years, August 5, as top fighters from Finland, Russia, America and across Europe will compete in M-1 Challenge 82. M-1 Challenge 82 will be streamed live from Helsinki, Finland in high definition on www.M1Global.TV. Viewers will be able to watch the preliminary fights and main card by logging on to register at www.M1Global.TV. Fans may watch all the action on their computers, as well as on Android and Apple smart phones and tablets. 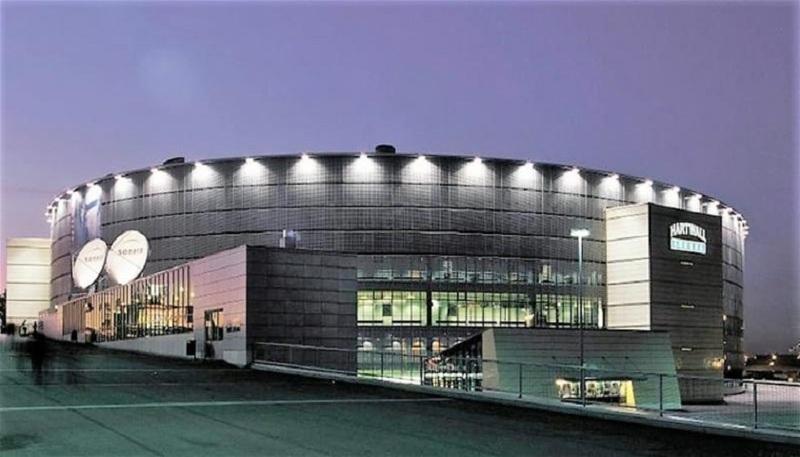 Hartwall Arena, the largest ice hockey arena in Finland, will host M-1 Challenge 82. The famous venue seats between 12,000 and 15,000 spectators, pending the event, and it has hosted the 1997, 2003 and 2012 World Ice Hockey Championships. Past M-1 Challenge events have featured leading Finnish fighters over the years such as Marcus “Caveman” Vanttinen (pictured on left), Juha-Pekka Vainikainen, Niko Puhakka, Janne Tulirinta, Toni Valtonen and Lucio “Spartan” Linares. Some of these fighters will be competing August 5 at M-1 Challenge 82. M-1 Global’s newest signed fighter, Vanttinen (24-6-0, M-1: 2-2-0), is a veteran member of the Team Finland. The 29-year-old Vanttinen faces Russian light heavyweight prospect Mikhail Ragozin (8-2-0, M-1: 1-0-0) at M-1 Challenge 82 main event. Finnish fan-favorite Janne “Jamba” Elonen-Kulmala (15-5-0, M-1: 0-0-0) makes his M-1 Global debut versus Brazilian bantamweight Heliton dos Santos (15-6-0, M-1: 0-1-0). Elonen-Kulmala will be fighting in front of his hometown fans in Helsinki. Valtonen (27-15-0, M-1: 6-2-0) returns to M-1 action against Ukrainian heavyweight Boris “Bora” Polezhay (16-6-0, M-1: 1-1-0. Valtonen has been an MMA fighter for 14 years and for much of that time-period he has been one of the stars of Finnish MMA-promotion, Fight Festival, which was successful at the 2009 M-1 World Championship Challenge. Valtonen fought in KSW and Shooto competitions. Another Helsinki native on the M-1 Challenge 82, Valtonen figures to have tremendous support at Hartwell Arena. Son Le “Buddah” Binh (5-2-0, M-1: 1-1-0), 28, lives and trains in Gothenburg, representing the Finnish team, East Front. The 28-year-old first competed in MMA competition only five years ago, but he has since had a total of eight amateur and professional fights. Although relatively inexperienced, his strong performances have resulted in him being Sweden’s No. 3 ranked bantamweight. Binh is always in great physical shape and he has very good stamina. All eight of his fights went the distance but none were boring. In a contest against another Swedish prospect, Bilal Musa, Bing fractured his leg at the beginning of the second round, yet fought through the paid to earn victory by way of a three-round decision. In his very interesting M-1 debut against Emin Guseyov, who has an excellent strike technique. Binh used his wrestling and grappling skills, which he was taught by coach Babak Nejad, who also trains UFC star Anthony Johnson, to win a three-round decision. 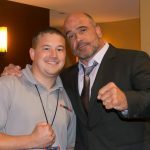 Keith Johnson, coming off a submission win over Maxim Grabovich in May, will return to M-1 to take on Alexander Butenko. Negotiations with several other leading fighters in Finland are also being concluded and their fights against foreign fighters will be announced shortly. Fighters from the United States, Brazil, France, Portugal, Sweden, Russia, Ukraine and Poland are also expected to compete on the M-1 Challenge 82 event.